Free crepe only – toppings are excluded.
. Not valid with any other promotional offer. Stamps cannot be exchanged for cash or credit. We reserve the right to refuse stamping your card. 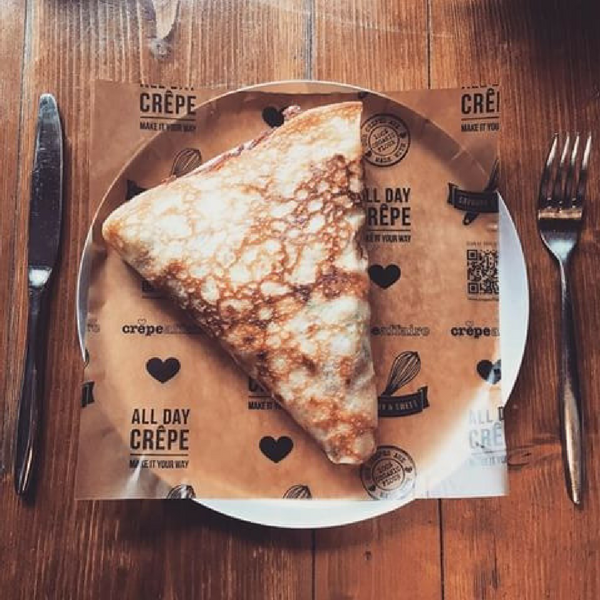 We reserve the right to refuse your free crêpe. The App cannot be used at the following stores: Wimbledon, Chiswick, Cardiff and Bristol. We reserve the right to withdraw or change the offer without notice.